I love blind tastings. I’m talking about totally non-intimidating blind tasting, done in the relaxed atmosphere, where the goal is only to have fun – in other words, not when it is part of the test. The blind tasting as part of the test is really not fun – as Kirsten the Armchair Sommelier eloquently put it in a tweet “Nothing intimidates quite like a brown paper bag! !” – as a WSET diploma candidate, I’m sure she knows what she is talking about first hand. So I’m talking about fun blind tasting here. Blind tasting removes all sources of bias, as only minimal information is available about the wine you are about to taste, depending on the theme of the tasting, and you can’t be influenced by the pretty label, by the big name or by the well-known place (ahh, this is the wine from Napa, it is definitely better than this one from New Jersey, right?). You are one on one with the liquid in the wine glass, and your only goal is to decide whether you like the wine or not and whether you like it more than the one you had before, or if you still like it more than the one which you had after. Of course, you can make things a lot more interesting by trying to guess the grape, the origin, the vintage and whatever else you would desire, but the beauty of the informal blind tasting is that you free to do as much or as little as you want. The best accompaniments for the wine are good food and a good company. We started wine dinners with the blind tastings with friends more than 7 years ago. Our first blind tasting was about Pinot Noir, then we had one about Sparkling wines (the thought of this one still gives me shivers as it was utterly confusing), also Chardonnay, Mourvedre, Barolo and many, many others. We decide on the theme, set the rules (how many bottles, price limits or not, what wines can be considered, what wines will not fit and so on). The bottles are put in the brown bags, the numbers are randomly assigned to the bags, the wines are poured and off we go. We usually try to figure out group’s favorite, which sometimes easy, and sometimes it is not. The results are always most unexpected, and everybody gets a chance to say “I can’t believe it”. The theme for this tasting was “usual grapes, unusual places“. Today, the mainstream grapes are totally international. Cabernet Sauvignon wines are produced in Bordeaux, in Napa Valley, in New York, in Argentina, Virginia, South Africa, Chile, Italy, Czech Republic and other hundreds of places. Same is true about Chardonnay, Merlot, Pinot Noir and Grenache – and even Tempranillo and Sangiovese are not an exception. Now the question is – can we still recognize Cabernet Sauvignon from Uruguay as Cabernet Sauvignon or Pinot Noir from the Czech Republic as Pinot Noir? Wine 2 – beautiful nose, plump, velvety, beautifully soft, silky smooth, outstanding, vanilla, delicious. Wine 3 – typical Bordeaux blend on the nose. Tremendous salinity on the palate. Then acidity. Bordeaux blend from NJ. After 30 minutes – Barbera? Wine 5 – Rutherford dust on the nose, touch of black currant, chipotle on the palate, herbal, unusual, very nice. Bordeaux varietal. Going for Carmenere. Wine 6 – beautiful nose, Bordeaux-style, lots of smoke on the nose. Somewhat sweet on the palate. Core Bordeaux? or Syrah blend? Cab Franc dominant blend. Wine 7 – smoke, dark fruit, beautiful tannins, cherries, beautiful. Bordeaux blend? Somewhat of extreme tannins. Wine 8 – muted nose, mint, anise, Rutherford dust. Good acidity, soft, round. Bordeaux varietal? Wine 9 – fresh, open, clean vanilla, dark fruit, excellent. Bordeaux varietal? Wine 10 – beautiful nose, but a bit astringent. Interesting. Bordeaux varietal? Let’s look at these results. First, let me talk about the wines I contributed for the tasting. For the whites, they were both excellent – I got this Onward Petillant Naturel Malvasia Blanca from Jeff The Drunken Cyclist as part of our Secret Santa fun, and the wine was delicious. 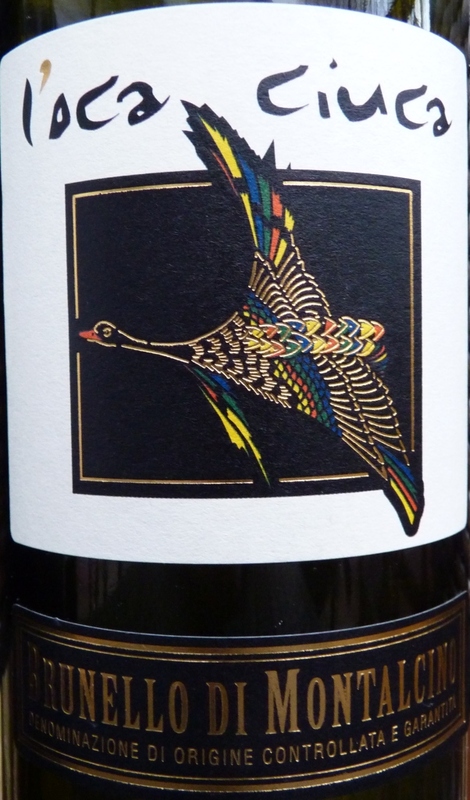 The second white, Krupp Brothers Marsanne was a rare closeout score a few years back. Sadly, it was my last bottle, but the wine needs to be drunk, so I’m glad I had it in a good company – I consider that to be one of the best California white wines, for sure for my palate. Now, the red which I brought was another story – it was the Changyu from China, for which I terrorized my Chinese-speaking friend trying to ensure that it was Cabernet Sauvignon and trying to figure out the vintage or ABV (fail). Well, the worst part was that many people not just disliked it, they literally hated it – and I had other reds from Changyu while in China with much higher success. Oh well. The winning wine Caduceus La Corgtigiane Oneste was made out of the New Mexico grapes by the winery located in Arizona, with one of the grapes being Barbera – talk about rare and unusual. McManis Barbera, second favorite, was also quite unexpected – but looking at my notes and having tasted few of the California Barbera wines, I made a wrong guess with somewhat right descriptors. 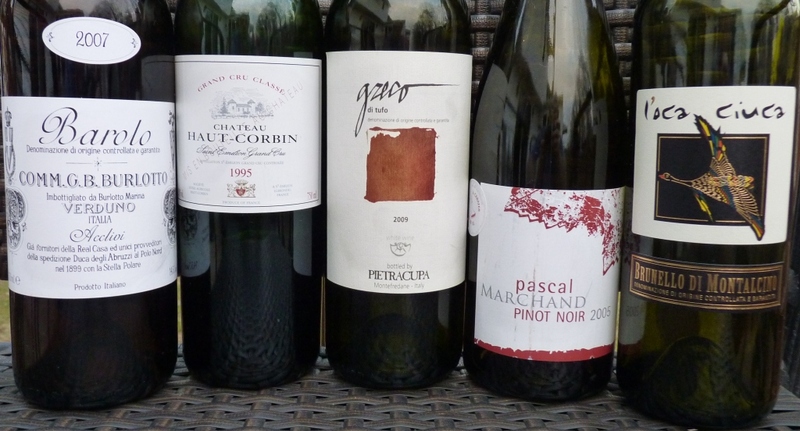 As you can tell, almost everything tasted to me like a Bordeaux blend – clearly, I don’t do well in the blind tastings, but one way or the other, this was lots of fun! And just think of the range of wines we tasted – Malvasia Blanca, Marsanne and Barbera from California, Nebbiolo from Uruguay, Merlot from Brazil, Pinot Noir from Macedonia, Cabernet Sauvignon from China, Merlot and Barbera from New Mexico – wow. The Malbec and Primitivo didn’t really belong on one side – but then on another side they kind of fit the bill too as Malbec from France is literally unknown to the wine consumers, and Primitivo is pretty much in the same boat, for sure in the USA. All in all, we clearly accomplished our goal of tasting usual grapes from unusual places. We also drunk more wine, and this one was a standout. An unassuming California blend from Marietta in Sonoma – NV Marietta California Old Vine Red Lot Number Twenty. This is non-vintage, field blend of Zinfandel, Petite Sirah, Carignane, and Gamay, now, wait for it … which should be about 40 years old??? Current wine is called Lot Number 66, so if this was the Lot number 20, then we are simply making an assumption here… The wine was delicious – yes, it was mature, so showed the layer of delicious dried fruit and ripe plums – but it still had a perfect amount of acidity for everyone to say “wow”. I plan to write to the winery, so hopefully will be able to figure out the age of this wine, but this was clearly another amazing example of California wines which can age – and patience well rewarded. Great fun and great learning experience, hands down. For anyone who is into the wine, the blind tasting is an endless source of enjoyment. If you love wine and never participated in the blind tasting, you really should fix it – get your friends together and have fun! If you need any “logistical support”, please reach out – will be very happy to help. Ahh, and by the way, there is something even more intimidating than a paper bag – a black glass. But then your friends may start hating you, so tread gently. Have fun, my friends. Cheers! “By the way”, my friend texted me, “your text says “tomato wine” – was that an autocorrect”? My response was “Nope. You’ll see”. Drinking wine is fun (if you disagree, you shouldn’t read this blog). There are many things which we, oenophiles, self-proclaimed wine aficionados, can do to maximize that fun. We age wines, we decant wines, we use fancy openers and pourers, we play with temperature and glasses of different forms and sizes. One of ultimate fun exercises oenophiles can engage in is a blind tasting. Blind tasting is a “truth serum” for the wine lovers, it levels the playing field for all. Blind tasting eliminates all “external” factors – price (ha, I paid $300 for this bottle, beat that), prestige, winemaker’s pedigree, weight of the terroir (ahh, Bordeaux, it must be amazing), cute and elaborate labels, critics and friends opinion – and leaves your palate one on one with the content of the glass. Don’t say “I hate Chardonnay and I never drink it”, as you don’t know what is in your glass. Don’t say “I don’t like Australian wines”, as you don’t know what is in your glass. Anyone who ever played the game of the blind tasting can surely attest to what I’m saying here. If you never experienced fun and joy of the blind tasting, you are missing and you are missing a lot – but it is easy to fix. Our tradition of wine dinners goes back more than 5 years, and most of the wine dinners include blind tasting part (here are the posts for some of the past events – Pinot Noir, Champagne, Chardonnay). A few weeks ago, we managed to align everyone’s schedule for a wine dinner and a blind tasting with a simple and non-pretentious subject – Cabernet Sauvignon :). Remember the dialog at the beginning of this post? I have friends who know my obsession with the wine, and always try to surprise me with various oddities. One of such oddities was a bottle of tomato wine which they brought from Canada. I didn’t want to drink that wine by myself, so the wine dinner was an excellent opportunity to share it with friends. As guests were arriving, I decided to play a role of the mean host (okay, not too mean). Outside of the friend who knew about the tomato wine, the rest were presented with the pour of the white wine and the request to guess what grape that might be. Literally nobody wanted to believe that this was a tomato wine – I had to show the bottle as a proof. Have I tasted this wine blind, I’m sure I would be in the same boat as all of my friends – this 2013 Domaine de la Vallée du Bras OMERTO Vin Apéritif de Tomate Moelleux Québec (16% ABV) was fresh, with good acidity, touch of raisins on the nose, medium to full body and notes of the white stone fruit on the palate – for me, Vouvray (Chenin Blanc from Loire) is the one which comes to mind to give you the best analogy. This wine is produced from the locally grown heirloom tomatoes – and it is also a vintage – I’m seriously impressed (find it and taste it). And to the blind tasting off we went. 10 wines were wrapped in the paper bags, opened and randomly numbered (my daughter usually does the honors), then poured into the glasses. The only thing we knew that all the wines will be predominantly Cabernet Sauvignon – no price or region limits. P: bright fruit, pronounced tannins, delicious. P: 2nd day – outstanding, firm structure, eucalyptus, dusty profile, tannins are still fresh. V: 2013/2014, new world , considerably improved by the end of the tasting! P: 2nd day: great improvement, very enjoyable, shouting a bit of mature fruit with bright acidity and touch of fresh plums. P: 2nd day: palate shifted towards savory too much meat. Probably perfect with the steak, but craving more balance on its own. N: 2nd day: pure candy on the nose, more of a lollipop quality, or may be stewed strawberries. V: nothing from Cab, but nice. An okay wine. V: not bad, but not great. P: 2nd day: dark, powerful, compressed, espresso, a lot more dense than the day before. V: 2nd day: less enjoyable than the day before, closed up, lost the finesse. N: young berries, same on the day 2 but a bit more composed. P: 2nd day: a bit more restrained. Young berry notes without supporting structure. Not my wine, but might have its audience. 10 wines, 6 countries, 10 different regions, $7.95 – $150 price range, 1995 – 2015 vintage range – I think we did pretty well in terms of diversity. Staglin Family being the favorite wine is not that surprising (but still interesting, considering that it is the most expensive wine in the lineup at $149). My biggest surprises, though, were super-solid KRSMA Cabernet Sauvignon from India (India? really? ), an excellent Cabernet Sauvignon from Sicily (who would’ve thought! ), and the cheapest wine in the group, Crosby Cabernet Sauvignon ($7.95), which opened up magnificently 5 days after the bottle was opened – of course, nobody has a desire to wait that long for the wine, but forgetting a few bottles in the cellar might be a right move. And that concludes my report about our great fun with Cabernet Sauvignon wines and the blind tasting. Now is your time to share your blind tasting and odd wines stories – and if you had any of the wines I mentioned here, I want to know your opinion about them. Lastly, if you never experienced the pleasures of the blind tasting, you must fix it as soon as possible. Cheers! Blind tasting is probably one of the most favorite pastimes of any oenophile – especially when it is done in the non-competitive and non-intimidating manner, let’s say as a part of the fun evening with friends. While the words “blind tasting” sound simplistic, there are actually multiple options of it, all with the varying levels of difficulty. The most difficult type is a double blind tasting – you are just given a random glass of wine, and you have to identify the grape(s), the place, the vintage and possibly even the producer – this is the level at which the Court of Master Sommeliers plays, the ultimate challenge so to speak. The next level down would be a regular blind tasting – there would be at least one common factor between all the wines – let’s say, they all will be made out of Cabernet Sauvignon grape. Or they all might be the Bordeaux wines. While the level of a challenge is unquestionably lower that in the previous case, this type of tasting is great for assessment of the wine without an influence of the external factors, such as producer, label, region, etc. I also call it “an ultimate wine snobbery squasher”, as looking at the bottle of your supposedly favorite wine and realizing you just thought it was terrible (while you had no idea what was in your glass), is really a humbling experience. My recent blind tasting experience was yet different. 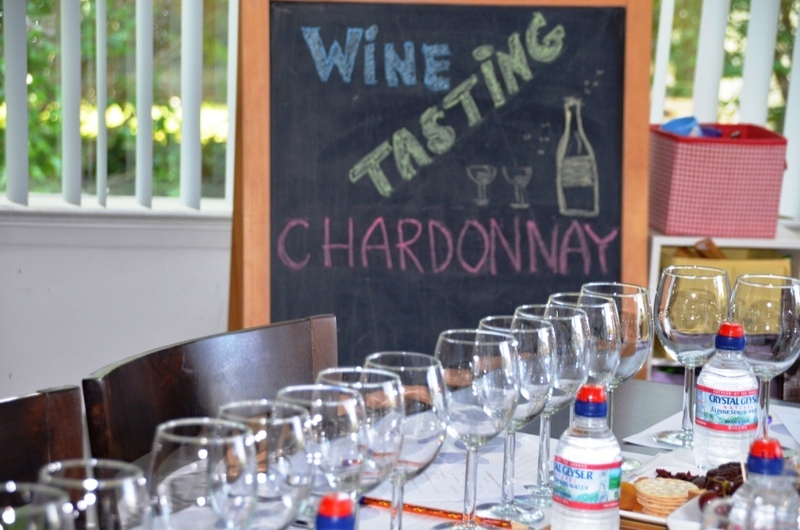 It was mostly the regular blind tasting, as it had a theme – Chardonnay, but it was also more limited, may be even “framed” is the right word – we knew all 10 Chardonnay wines which were present in the tasting, so it was not really wide open. And to make it more fun, we tried to identify each wine we tasted, and of course, look for the group’s favorite. To avoid crowding the table too much, we split the tasting into two sets of 5, and then we went over our notes to come up with our guesses – and then, of course, there was the moment of truth – when the bottles were revealed. Chardonnay needs no introduction, of course. One of the most popular white grapes in the world, with literally every wine producing country having its stake in satisfying the thirst of Chardonnay lovers around the globe. I would dare to say that left alone, Chardonnay is great at expressing the terroir, the soil and climate of the area where it was growing, may be better than most of the other white grapes (may be Riesling can contest that). From the gravely soils of New Zealand to the expressive ‘gunflint” minerality of Chablis, biting acidity of Champagne, the round goodness of the mature Burgundy, to the warm and toasty expressions (sigh – hard to find it anymore) of California – Chardonnay rules them all. Our tasting was extremely representative of this world-wide phenomena – California, Long Island, Burgundy, Italy, Hungary, New Zealand and Australia were all present! Not a bad line up, huh?! Okay so let me tell you about the wines. First, I will give you my notes, together with the guesses I made as we were going along. Once we completed the tasting of all 10 wines, we had a bit of time to think through and to complete our tasting cards to say what was what. And then of course, we unwrapped the bottles for the “moment of truth”. #1: Touch of butter, green apples, a bit harsh, tannins, young, lots of tannins. 7+/8-. Not sure what it can be. #3: Fresh flowers on the nose, caramel, butterscotch, fig, pears, unusual, apples. 7/7+. I’m sure this is Long Island, no questions. #4: Savory nose, oxidized, past prime, lost fruit. N/R. Considering the group, must be the Mersault (it is a well known and very unfortunate problem for the producers in Mersault – starting from some time in 2000, their wines lost ability to age and oxidize very quickly). #5: Mint, rosemary, thyme on the nose, touch of oak, apples, very delicate profile, nice tannins, slightly off balance. 7+/8-. Australia? #6: Butterscotch on the nose! Vanilla, amazing, very balanced, apples, vanilla, beautiful! 8. I’m quite convinced it is Hungary – I had this wine before and I believe this is the one. #7: Beautiful nose! White fruit, lychee, spiciness on the palate, apples, delicate fruit. 8+. Not sure what it can be. #8: Minerality, very unusual, herbs, – sorry for possibly putting some people off, but – a dog poop! (Yeah, I know, sounds crazy – but I’m speaking from experience as a dog owner), salty, herbal, acidic profile, more minerality on the palate. 8-. Again, not sure. Need to think about it. #9: Candy on the nose, noticeable malolactic fermentation on the palate, and then acidity, acidity, acidity. 7. Not sure. #10: Minerality, hint of butter, a bit too sweet, not enough acidity, not balanced. 6. No idea. And then, of course, there was food – lots of wonderful, home made dishes. It will take too much time to describe it all, so I will just leave you with the few pictures. See that sticker “RobertParker 100 pts”? Yes, this was the 100 points rated wine from Robert Parker!!!!! First time I tried anything rated 100 points by one of the biggest wine critics in the world!!! And I have nothing to write home about it. The wine was good – but I don’t remember it as being earth-shattering. Not sure what to take out of it, but surely feels strange. My only consolation is that I have another bottle of the same wine – and I will keep it for as long as I can before drinking it again – may be then I will be able to see what Robert Parker found in this wine. That concludes my report on the wonderful game of Chardonnay tasting. We had a great time, and I think restricting the level of “blindness” in this tasting was a very interesting twist, making that blind tasting exercise even more enjoyable. Until the next time – cheers! Let’s start with the answer for the wine quiz #43, Which One Doesn’t Belong. In the quiz, you were given a list of 6 well know Burgundy wines and you were supposed to identify the one which shouldn’t be on the list and explain why. Same as last time, we have exactly the same two winners – both vinoinlove and thedrunkencyclist were able to correctly identify that Clos de Lambrays shouldn’t be on the list of Grand Cru Monopoles. Monopole essentially is a single appellation in Burgundy which is owned by single family/winery. Clos du Tart, La Grand Rue, La Romanée, La Romanée Conti and La Tache are all Grand Cru Monopoles ( they all have their respective single owners), but tiny portion of Clos de Lambrays has its own separate owner, which makes it unqualified for the “Monopole” denomination. Congratulations to our winners, they are doing great winning the second quiz in the row – will see how long their winning streak will last, but for now they definitely got the unlimited bragging rights. What do you think of a blind wine tasting? Do you think it is humbling? You bet. Do you think it is educational? I’m sure it is. But don’t take my word for it – here is an interesting article published by the Wine Spectator and talking about blind tasting experience – I think it will be well worth of your time. Last but not least – Italian wine lovers, rejoice! Thanks to Stefano from Flora’s table, we now know that Gambero Rosso, one of the most respected and prestigious Italian wine guides, will run the wine tasting events around the US over the next few weeks. For more information about Gambero Rosso events, please visit Stefano’s blog. Do you like surprises? Yeah, I see you saying “that depends” – ahh, as we grow up, the life is teaching us to be cautiously optimistic when we hear the word “surprise” – from unadulterated “Yay, surprise!! !”, thanks to the gentle pressure of the life lessons it becomes “hmmm, surprise???”. Yes, call me slow, but only now I realized that the “blind tasting” part was related to me and that the bottle is actually waiting for me. Okay, so double blind tasting – I’ve done that before, it was fun, so yes, let’s do it again. The cork is out, wine goes into the glass. Perfect fresh ruby color, bright and inviting. Fresh, very fresh raspberries on the nose, some hint of sweetness – based on the initial assessment, the wine appears to be young and gives an expectation of being somewhat lighter on the palate. Also, the nose has that touch of green (really a touch) and earthiness. My friend is impatiently pacing back and force – “what can you say, what can you say” she rather demands. Okay, I think it is a young wine, 2 to 3 years of age. Also, based on the nose and appearance, my guess is that it is one of he local wines – Connecticut, Pennsylvania, New York Hudson Valley – my thought is that it is one of the indigenous varieties, like Chambourcin or Marital Foch. She seems to be satisfied with my assessment, and we are moving on. On the palate, the wine shows some cherries and raspberries, and somewhat unusual (for me) tannins, in a very front of the mouth (I believe the wine spent time in oak, but I’m curious what type of oak it was exactly. Then the wine finishes with the hint of cinnamon and nutmeg. The wine is perfectly drinkable by itself, but should also nicely complement some charcuterie and lighter cheeses. All in all, it is a nice bottle of wine in my opinion, and I would put Drinkability at 7. As the back label says “made from the best California grapes”, I’m clearly out of luck with my varietal guess. But at least I got the place (totally by accident, but – WOW – the wine is from my home town, Stamford!! ), and the age – it is 2010 vintage, so I’m right there with my 2-3 years old guess. 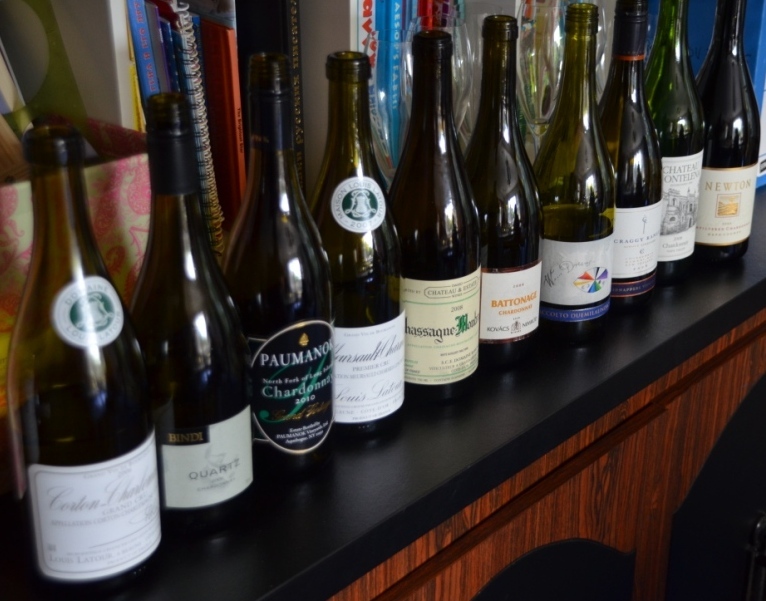 There you have it – as I mentioned many times in this blog, blind tastings are fun! I’m definitely impressed with the fact that the wine of this level can be produced by the amateur winemakers, but hey – everybody got to start somewhere! Wishing you all great wine experiences! Cheers! If you had been drinking wine for a while, I would expect that you have developed certain taste expectations. As you drink the wines from the different regions, you find that the wines from the same geographic locality made from the same grapes would have somewhat of a similar taste and style (yes, of course, I just described what is properly called Terroir without using the word itself). At some point, the associations between the origin of the wine and its expected taste become engrained in your mind. Looking at the bottle of New Zealand Sauvignon Blanc, you are expecting to find bright acidity and citrus flavor profile even without opening the bottle. Looking at the bottle of California Cabernet Sauvignon you are expecting to find good amount of fruit with some explicit black currant notes and probably good amount of tannins – note that I’m really trying to generalize here, but you got the point. 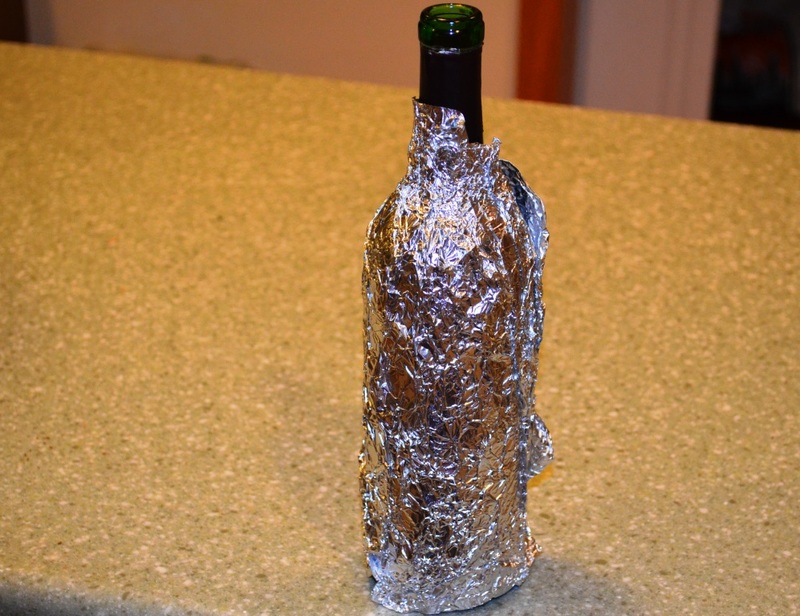 This is the way the wine was for a very long time. However, when you taste modern wines, do you have a feeling that your expectations no longer valid and don’t match the reality any longer? I had this experience many times lately, when Amarone didn’t taste like anything expected (you can find my rant of pain here), or when unoaked Chardonnay tastes rather like Pinot Grigio – and there are many more examples of “taste confusion”. Recently, I had another case of “broken” taste expectations – this time it was somewhat sanctioned, as we did a double (almost) blind tasting. The theme was set a bit ambitiously, as France and Italy. The “ambitious” part is coming from the fact that these two countries on their own have such a variety of wine production that it makes literally impossible to recognize the grape or at least the style of wine (either one of those countries would provide a plentiful selection for a double blind tasting on its own). Anyway, with the main goal of having fun with the wines, we actually had a great time. #2 – earthy, nice, little green bell peppers, roasted notes? Bordeaux? #3 – France, nice bright fruit, good sweetness, noit enough acidity? No idea about the grape. #4 – interesting, lots of fruit, very nice – no idea. #5 – great, round, good fruit – no idea. In case you are curious – of course we voted for the favorite – Brunello (#5) was a clear winner, with Greco de Tufo (#3) trailing it closely behind (one point difference). Okay, I can’t leave you with this sad impression of disappointment – it was not that bad at all. Also, we had a great cast of supporting wines, even with some pleasant surprises. First, two sparkling wines. 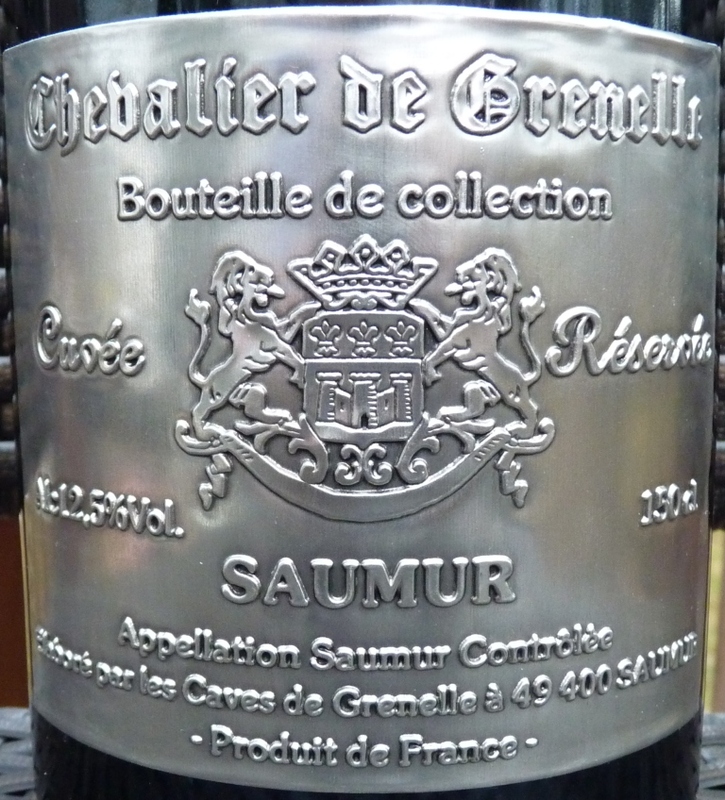 Chevalier de Grenelle Cuvee Reserve Saumur AOC, a blend of 90% Chenin Blanc with 10% Chardonnay was very good, full bodies sparkling wine, with good notes of apple and toasted oak. 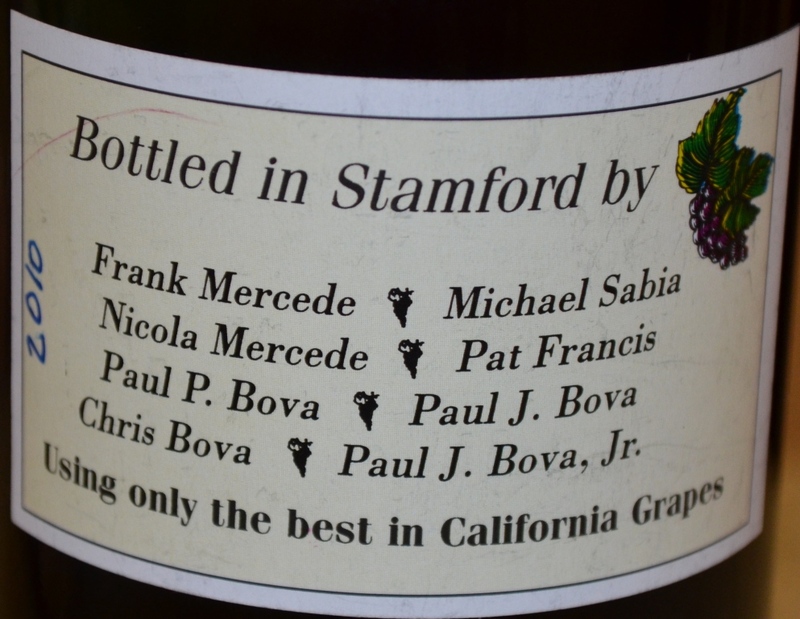 In addition to good wine, this was also a very special bottle – a magnum with metal imprinted label. 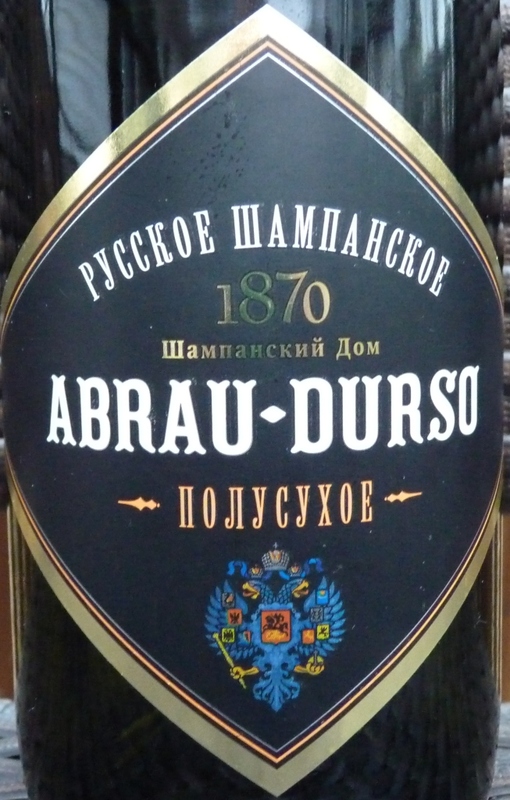 Second sparkling wine was even more unusual – Abrau-Durso Semi-Dry – a sparkling wine from Russia, made by reincarnated famous producer of sparkling wines for Russian Tzar (original company was created in 1870). This wine had just a hint (a whiff) of sweetness, lightly toasted apple and nutmeg on the palate. Very refreshing and delicate. I suggest you will find a bottle and try for yourself – there is a good chance you might like it. 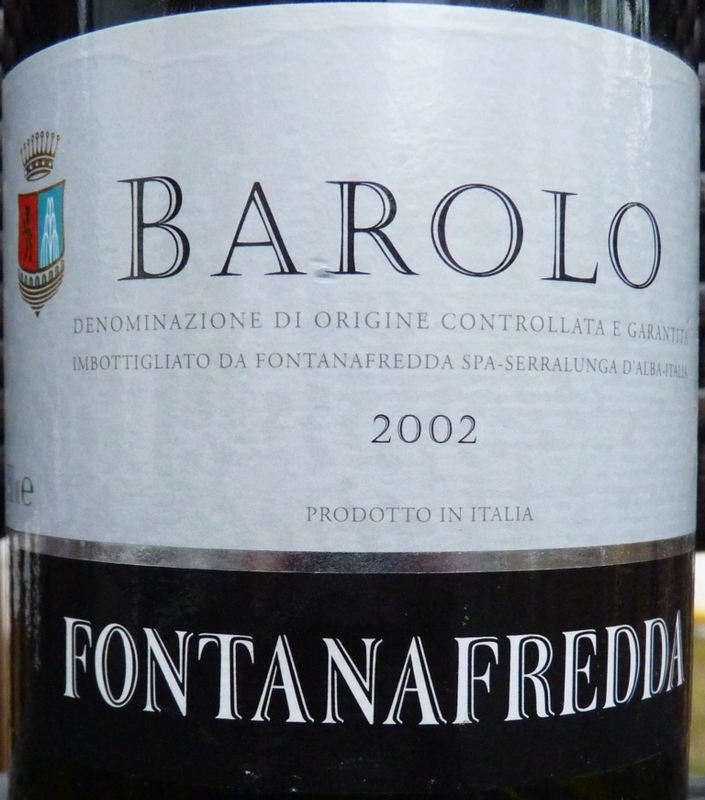 And for the last surprise – 2002 Fontanafredda Barolo DOCG. Why surprising? If you will look at the Wine Spectator’s Vintage Chart, you will see that 2002 was regarded as a very bad year for Barolo, with the rating of 72 and recommendation of wines being past prime. I decanted this bottle at some time in the late morning, and by the early evening, when we actually drunk it, it opened up very nicely – while it was lacking powerful tannins, otherwise it was quite enjoyable wine, very balanced with quite a bit of finesse. Play with your wine, get friends together and do the blind tasting – I guarantee you will learn something new about your palate, your wine preferences and may be even your friends! Can Wine Tasting Be Double Blind? Can wine tasting be double-blind? You think this is a misnomer, right? Let me explain myself. The basic premise of the “blind” wine tasting is that the taster has no idea what is he or she is dealing with, and by using swirling, sniffing, gargling and any other techniques should identify grape (or grapes), the place where the wine was made, and ideally the producer and the year. For the example of amazing blind tasting I have to refer you to the movie Bottle Shock (if you are into wines, definitely worth watching). In general, tasting wines 100% blind is rare. What I mean is that even in the case of the blind tasting, there are some limiting factors which help you to identify the wine. For instance, when the wines are tasted blind for Wine Spectator ratings, usually the territory and a year and well known (and the goal of the tasting is simply to rate the wines as good and bad, not to identify grapes and producer). 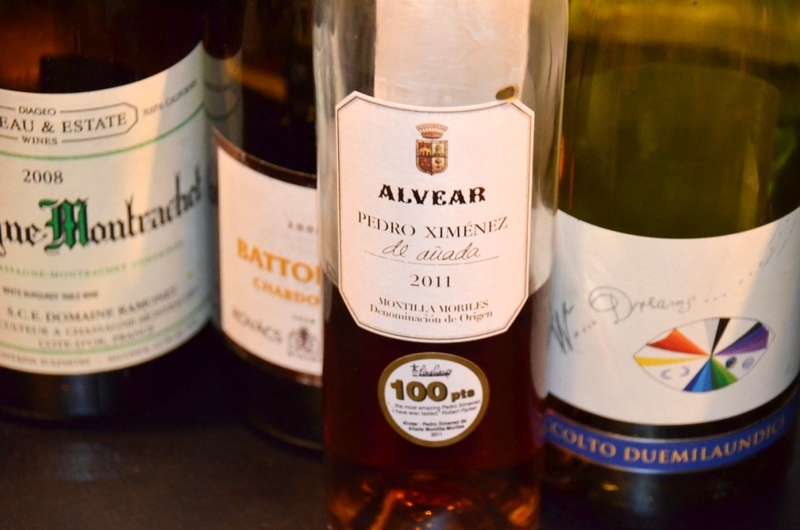 Even when I was tasting the wines for the Certified Sommelier exam (for more info – see About section), it was known that there will be no Pinot Grigio in the glass and grape choices would be really limited. So what would I call a double-blind wine tasting? I was asked to taste home made wine and provide my opinion. I was asked a number of times and couldn’t refuse. I do call this double-blind – all I know is that the wine is made at home of someone leaving in Connecticut, and I don’t even know if it is made out of grapes or may be berries? Of course the whole purpose of this exercise was only to say whether I like the wine or not (no need to identify producer and the year 🙂 ), but who doesn’t want to play detective in such a case? Yes, I want to guess the grapes, and I want to guess it right! Nose: wine opened with freshly squeezed berries, like raspberries and blueberries, complemented by lime zest. Palate: very nice fruit (again raspberries, blueberries, ripe plums, some tropical fruit – very unusual for red wine), complemented with vibrant acidity and good tannins. As you can see, it is a description of a very nice wine – and it was very nice indeed. So was it perfect? Well, it took me some time to realize what this wine was lacking. It was lacking place. There was no notion of terroir, no earth and no minerals. 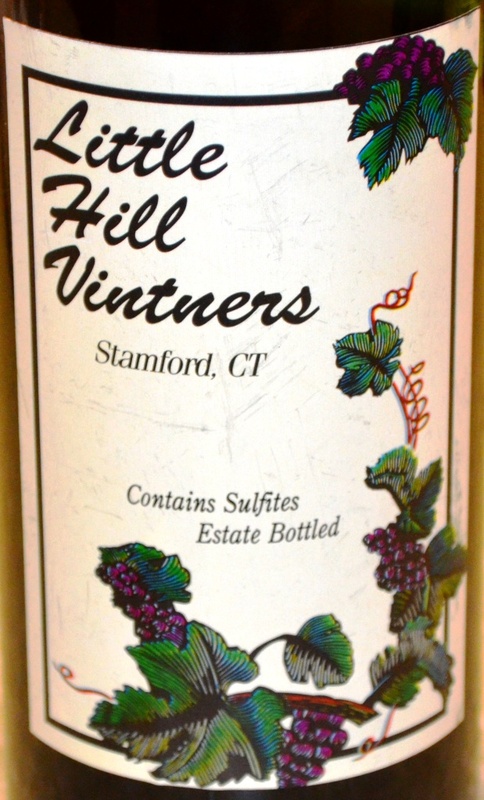 This wine can be from anywhere (and being made in Connecticut, it definitely is). Again, the wine was very drinkable, and a lot of commercially made wine have no notion of place whatsoever – but I think this is something to note when tasting the wine, so here it is. What would you put as a grape(s) under such description? My top guess is Zinfandel, and if not, my next guess is Syrah. I don’t know the right answer, and I promise to share it – once I will find out. And as I mentioned before – blind tasting is fun! Get your friends together and play the wine detectives game – I guarantee you a great time!